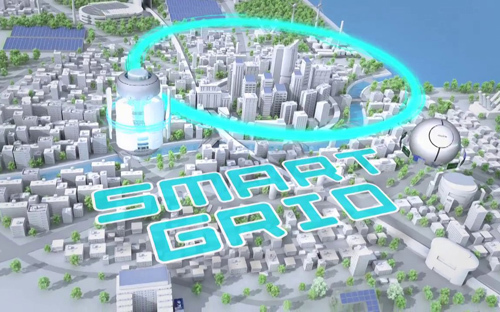 — Is development of a smart grid technology really of current concern today? — As you know, a task to introduce renewable energy resources (RES) in service has been recently set on a global basis. So, RES-based generation began growing rapidly. At the same time, development of such projects brings up some issues that need to be resolved. In Russia, RES are not as common since the demand to adopt those technologies is not that great yet, but the situation will change in the nearest future. Even now, there are market players in Russia that are interested in setting up of smart grids and smart cities. — Are there any smart cities already built? — Establishment of such cities is still under planning. Toshiba is currently implementing the abovementioned type of projects in some countries such as the US, Italy, France, UK, and others. To meet the demand for setting up of such smart grids and cities, our company has developed the µEMS (Micro Energy Management System). — What is the µEMS? — As a matter of fact, it is a controller that monitors the electric grid. 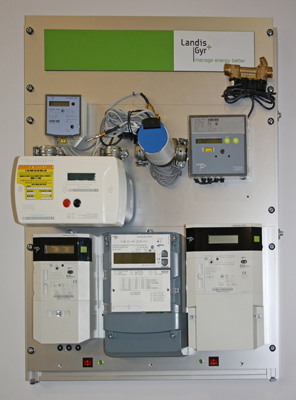 The system includes adjustment and control devices: a thyristor voltage regulator (TVR), rechargeable SCiB batteries, and so called “smart meters”. Physically, the system may be designed as a small panel or as a large server. It is usually installed in the substation’s control room. Generally, we are speaking about MV substations here (let’s say, 20/0.4 kV). — What was the µEMS developed for? — There always were problems related to medium-to-low voltage transformation: surges and drops of voltage that affect quality of electric power. Also, there are emergencies and power failures. As of today, available devices used by electric energy suppliers allow only for occasional responses to voltage surges. There is no equipment that would deal with those issues in a comprehensive manner right on site: let’s say, a voltage surge occurs, and the system drops it immediately. The µEMS is able to resolve those issues in real-time mode. It takes measurements, analyzes the situation, and performs a required action. Toshiba specialists commenced development of this product when people first started talking about “smart” grids. First pilot projects related to application of the system were implemented in 2008. Now, we may witness quite a number of practical results, but all the facilities are located beyond Russia. The most recent project was implemented in Rome. — Does the system only improve quality of electric energy, or does it have some other functions as well? — The µEMS performs a few functions. Now, customers want transparency. They want to see how much energy they received from energy sales company. Our controller is able to measure the amount of consumed energy and to calculate the required amount of energy in advance, i.e. to make a forecast. One of the functions of the system called a “demand response” provides a feedback to the customer by notifying him how much electric power he spent out of the preset limit. How is the preset limit determined? A customer may say in advance how much energy he needs. And when he is about to approach the threshold, he will receive a signal from the system. So he understands that from now on, he will receive energy at a higher price and might make a decision to shut off some of his electric devices. Thus, at customer end, the system allows obtaining the information, processing it, and monitoring the situation. At supplier end, the system also performs control and forecast functions. — What do you mean by forecast? — The energy generation forecast is especially important if we speak about electric power generation based on renewable sources such as solar panels, wind turbines, etc. The µEMS is able to provide such a forecast based on weather forecast and historic readings for similar periods. Generation facilities based on RES may become the reason of voltage surges: the electric power system imbalance issue has worsened after the RES facilities came up to service. Voltage surges occur when one party supplies more, and the other party consumes less, and vice versa. The forecast helps to establish a balance between the consumer and the supplier (energy generator) and thus to eliminate the reasons of voltage surges. Here, µEMS acts as a common control device. Plus, as stated before, the systems provides not only the energy supply forecast but the energy consumption forecast as well. The device calculates estimated figures at customer end and at supplier end respectively, and compares them. For example, it turns out that according to the system’s estimates or to the own estimates of the customer, the latter will need 100 kW, and the supplier may only provide 60 kW. Then, the controller may suggest obtaining the deficient 40 kW from a battery, or maybe obtaining only 30 kW without supplying the remaining 10 kW to the customer at all, or requesting those 10 kW from an electric grid company, etc. — Could you please provide more details about batteries that are used with the µEMS? 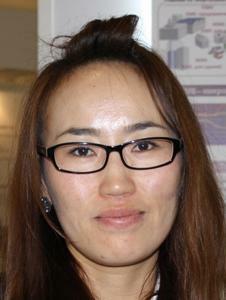 — Those are energy storage rechargeable batteries SCiB developed by Toshiba. The battery equalizes voltage drops, and in case of under power, it provides the deficient energy. It is clear that such a battery must be able to charge and discharge quickly. 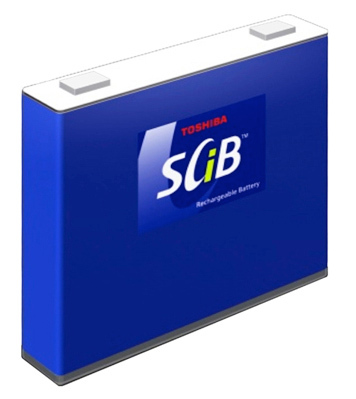 The SCiB battery is designed for 6 charge-discharge cycles which means approximately 15 years of service, and after that, it still has some operational life. The battery may be used under the temperature range from -30°С to +55°С. Even now, many companies (energy suppliers, distribution networks) use such batteries. Technically, those batteries are connected to each other forming a common system equipped with an integrated controller able to equalize the voltage level. Still, if we use batteries only, we enjoy quite a limited set of functions compared to the full-featured µEMS. — Does the system application allow saving energy? — Certainly. Here is one of the most recent examples: a smart building was set up which uses a demand response function. As a result, the energy consumption decreased by 60%. — What prospects for µEMS does Toshiba see on the Russian market? — We think that in any case, RES-based generation will appear in Russia, and new challenges will appear along with it. And then, there is quite a high probability that our product may be of use.